A family of six including two young daughters staged suicide bombings at three Indonesian churches during Sunday services, killing at least 13 people and wounding dozens in attacks claimed by the Islamic State group. The bombings at three churches in Surabaya were Indonesia's deadliest for years, as the world's biggest Muslim-majority country grapples with homegrown militancy and rising intolerance towards religious minorities. A further three people were killed and two wounded when another bomb exploded at an apartment complex in Surabaya, Indonesia's second largest city, just hours later, police said. There was no immediate claim of responsibility. 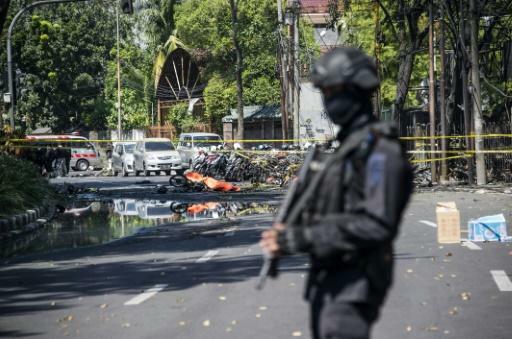 The church bombers -- a mother and father, two daughters aged nine and 12, and two sons aged 16 and 18 -- were linked to local extremist network Jamaah Ansharut Daulah (JAD) which supports IS, said national police chief Tito Karnavian. The mother, identified as Puji Kuswati, and her two daughters were wearing niqab face veils and had bombs strapped to their waists as they entered the grounds of the Kristen Indonesia Diponegoro Church and blew themselves up, Karnavian said. 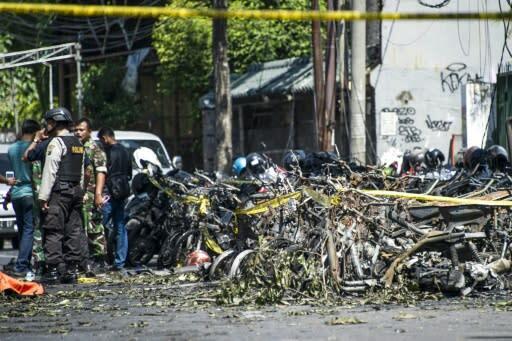 The father, JAD cell leader Dita Priyanto, drove a bomb-laden car into the Surabaya Centre Pentecostal Church while his sons rode motorcycles into Santa Maria church, where they detonated explosives they were carrying, Karnavian said. East Java police spokesman Frans Barung Mangera confirmed the deaths of 13 people in the church bombings, with about 40 injured in the coordinated attacks at around 7:30 am (0030 GMT). 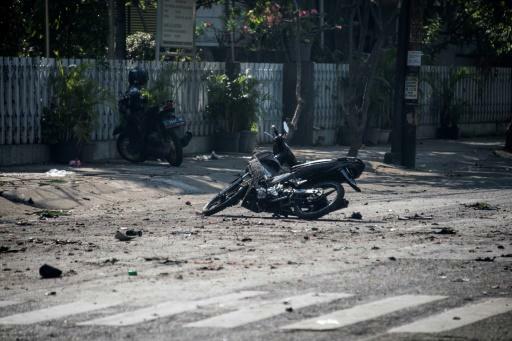 Later on Sunday night a bomb killed three people and wounded two, all from the same family, who occupied the fifth floor of a low-cost Surabaya apartment complex, East Java police spokesman Frans Barung Mangera said. "Three people have died, two are in the hospital and one is safe," he told AFP via Whatsapp.